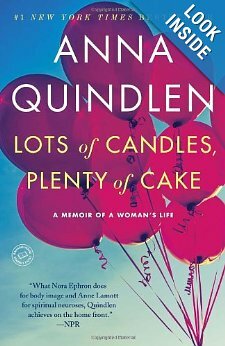 “It’s odd when I think of the arc in my life,from child to young woman to aging adult. First I was who I was.Then I didn’t know who I was. Then I invented someone and became her. Then I began to like what I’d invented. And finally I was what I was again”. “Time passed,almost imperceptibly. First we are so young and then we were so busy and then one day we awoke to discover that we were an age we once thought of as old”. 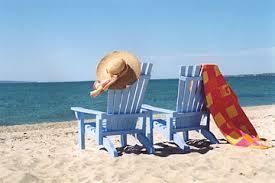 “Many of us have come to a surprising conclusion about this moment in our lives. No,it’s not that there are weird freckly spots on the backs of our hands,although there are,or that the construction guys don’t make smutty comments as we pass,although they don’t. It’s that we’ve done a pretty good job of becoming ourselves,and this is,in so many ways,the time of our lives. Lots of candles,plenty of cake. I wouldn’t be 25 again on a bet,or even 40. And when I say this to a group of women at lunch,everyone around the table nods. 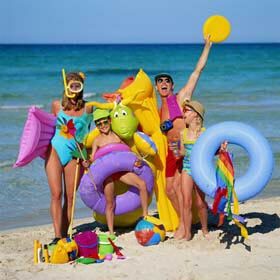 Many of us find ourselves exhilarated,galvanized,at the very least older and wiser”. Anyway-you get the gist….a must-read if you love her writing, which I really do. After surviving one of the American Civil War’s pivotal battles 150 years ago, the Pennsylvania borough of Gettysburg once again faces invasion. The community about 125 miles west of Philadelphia is readying for as many as 4 million visitors during its commemoration of the clash between Union and Confederate forces in July 1863, and the landmark presidential speech in November of that year as the war raged. The anniversary of the war’s bloodiest battle, coupled with the Oscar-winning 2012 movie ‘‘Lincoln,’’ will bring Piotr Narloch and five pals from Krakow, Poland, to help reenact part of the fighting. 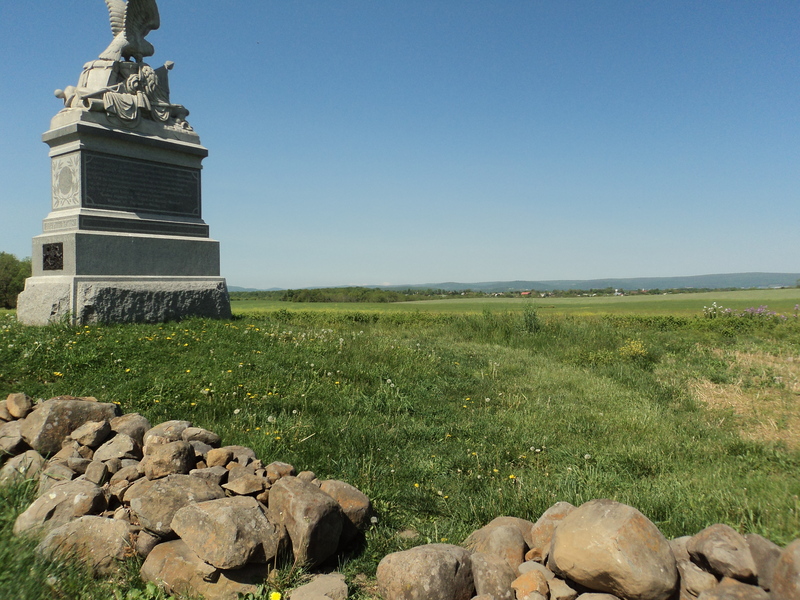 The commemoration has tour operators and travel sites touting the borough of about 7,600 residents as one of this year’s top destinations, according to Carl Whitehill, a spokesman for the Gettysburg Convention and Visitors Bureau. The estimated 15,000 Civil War reenactors on hand this year, while smaller in number compared with the millions of tourists, will stand out with their rifles, pitched tents, and campfires on farms near the battlefields. They’ll include Narloch and his Polish friends. The group will travel 5,000 miles to stage the July 2 Culp’s Hill assault by the 14th Louisiana Infantry Regiment, a Confederate unit largely composed of Polish immigrants. 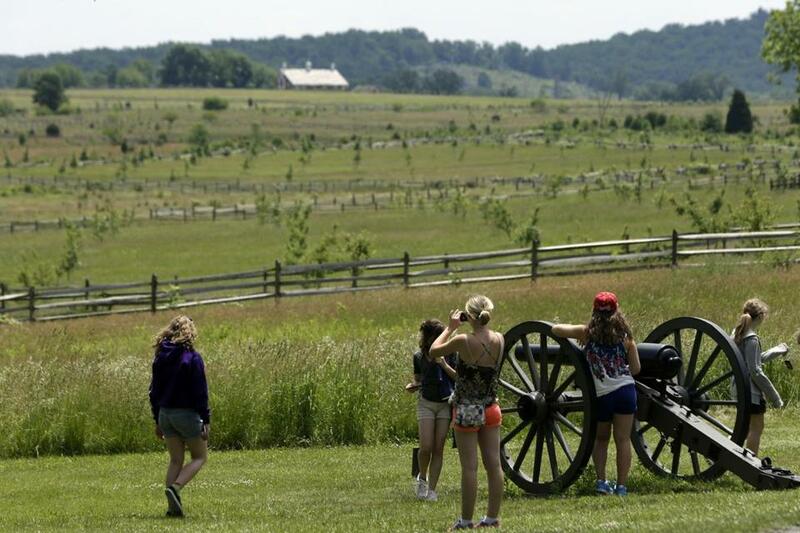 They’ll join other history buffs at the Bushey Farm outside Gettysburg starting June 27. The epic battle began as Confederate forces under General Robert E. Lee invaded Pennsylvania during the war’s third year. Lee’s Army of Northern Virginia was beaten back by the Union’s Army of the Potomac led by General George G. Meade, a Pennsylvanian. Meade defeated a desperate charge by General George Pickett’s men on the last of three days of fighting, which left more than 50,000 combatants dead, wounded or missing. One reenactment will use almost 70 cannons, according to Thomas Alexander, a retired Maryland police officer who leads the Confederate artillery for reenactments planned on two farms north of Gettysburg. To prepare, Alexander said he has studied the terrain to position the guns for engagements such as the Union advance into the Wheat Field and the Confederate flanking move at Little Round Top, both on the battle’s second day. Assembling a historically accurate uniform and gear, including a rifle, can cost as much as $2,500, said William Coe, whose namesake ancestor was among Gettysburg’s casualties. Reenactments provide living history, said Coe, who portrays Sergeant William W. Coe in the 21st North Carolina Infantry. 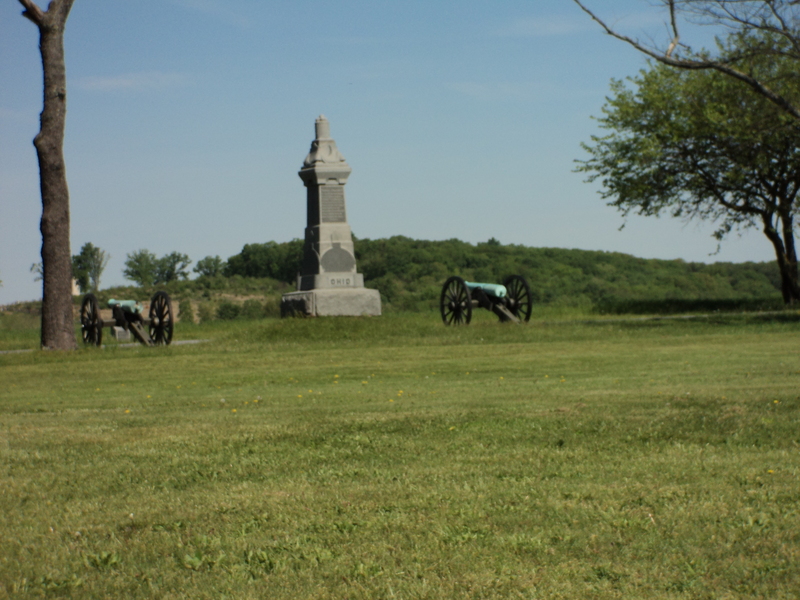 Coe, 53, said he moved near Gettysburg from Cinnaminson, N.J., in December 2011, to be close to where his namesake was wounded in the charge up Cemetery Hill. The men in the re-created units come from across the country and 16 nations, including Britain, France, Sweden, and Romania. David T. O’Daniel, a member of the 69th Pennsylvania ‘‘Irish’’ Volunteer Infantry Regiment, will be growing out his gray beard and dyeing it red so he can more accurately resemble Color Sergeant David Kinairy, who carried one of the unit’s green battle flags during the third day of combat. ‘‘I’ll be going to Gettysburg to fight the rebels and stack them like cord wood, because that’s what we do,’’ O’Daniel said in an interview. ‘‘We’re the Irish,’’ he said, displaying a green-and-blue tattoo with the unit’s crest. 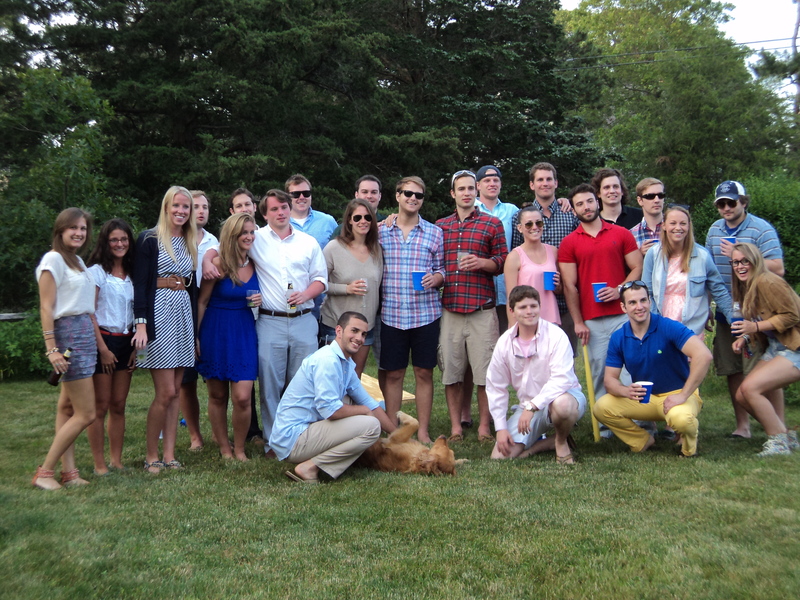 We pulled off a very fun surprise party for our son who turned 25. A lot of his friends came up from NYC and he was definitely surprised. I tried to look up the history of surprise parties and instead came up with this which I think is very helpful so thought I would pass it on. 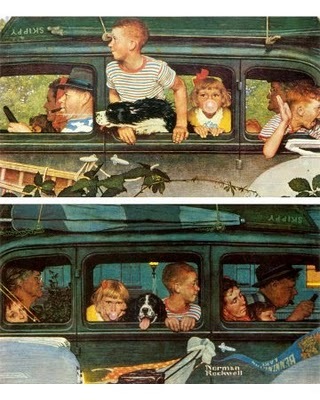 Ours went without a hitch and it IS because no one said anything AND they were all on time! The great football coach Vince Lombardi once said, “If you’re early, you’re on time. If you’re on time, you’re late… if you’re late, don’t bother showing up.” That saying sums up the number one rule for surprise party etiquette. Rule #1 is just don’t be late! Be early. Be extra early, even. Have a drink, come and eat, and just make sure you are there–bottom line. The worst thing you can do is try to beat the clock. If you are supposed to be there at 8:00, and you pull up at 7:59, don’t try to enter the party. The proper thing to do in that situation is to text or call someone you know is at the party (and on time), to see if you can still come in. If so, you book it to the front door like Indiana Jones running from the rolling boulder. If they say you can’t come in because it’s too risky, then get comfortable because you deserve to wait. Don’t be rude and ruin the surprise by trying to rush in at the last minute just so you can yell, “surprise!” with everyone else. If you’re late, you lose that privilege. I will admit that I am guilty of forgetting when someone’s party is a surprise or not. Sometimes when you talk to people so frequently, like in an office, you forget that their party is a surprise. After all, you and the rest of your coworkers have spent weeks discussing it so it’s easy to forget the guest of honor doesn’t know about it. That said, you must, must, must be careful. The definition of poor etiquette is ruining something someone has worked hard on completing. And there’s no excuse for it. So how far should you go to keep the secret of a surprise party? Well, put it this way, when I say, “Keep it a secret” I mean go to the ends of the earth to keep it on the DL. Even if you have to dodge this person for a few days, do it; do whatever you have to NOT to tell them. This is from Modern Manners Guy. Customers come into Concord Lamp and Shade every day looking for a replacement lampshade. Ideally, the lamp requiring the new shade should accompany the customer – it makes for a much more single and successful trip to the store; without the lamp – or at least the exact dimensions of the existing lampshade, we are guessing at selecting a shade that will fit the lamp; my track record is not great without the lamp, but very often spot on with the lamp. 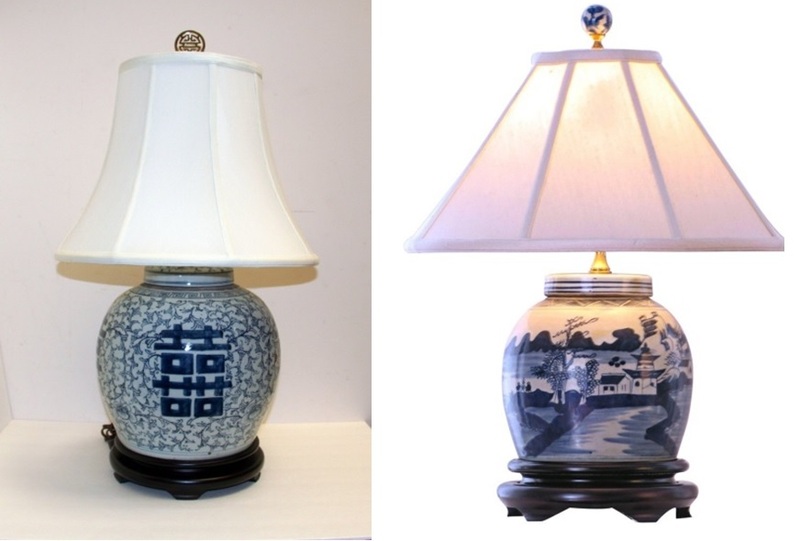 Nautical Lamp Shades for Summer! 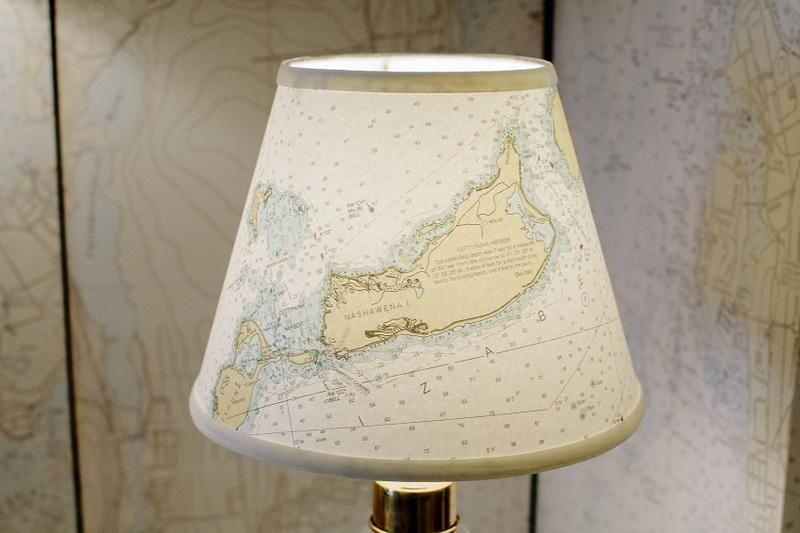 If your summer house is on the Cape or one of the islands, you can choose a new lampshade made from the nautical chart that captures the location of your summer house and other shoreline locales. 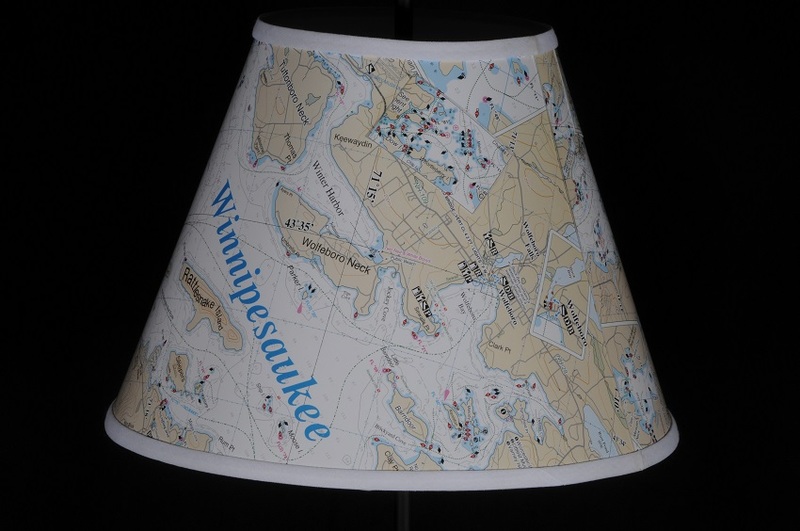 One of the most popular nautical chart lampshades is of the island of Nantucket, but Concord Lamp and Shade can design a lampshade using any nautical chart from the immense coastline of the United States, as well as inland waters such as the shade featuring Lake Winnipesaukee. 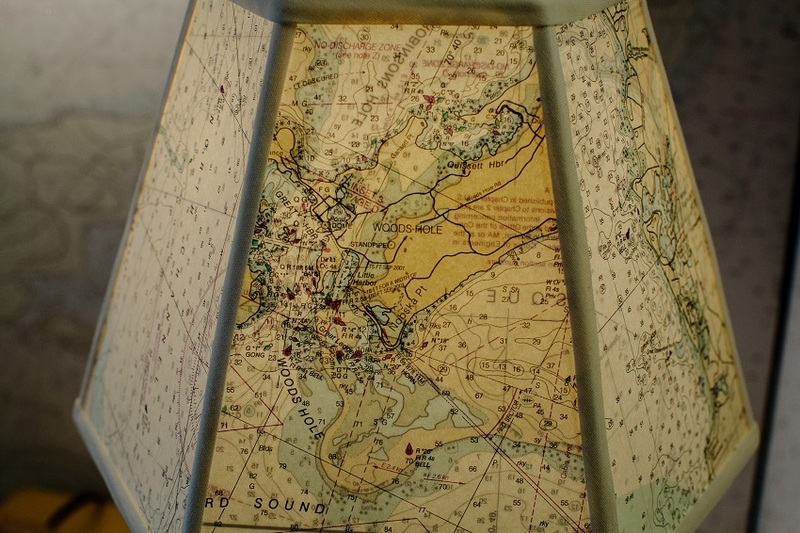 We are currently working on a nautical chart lampshade that includes the cities of San Francisco, Boston and New York! 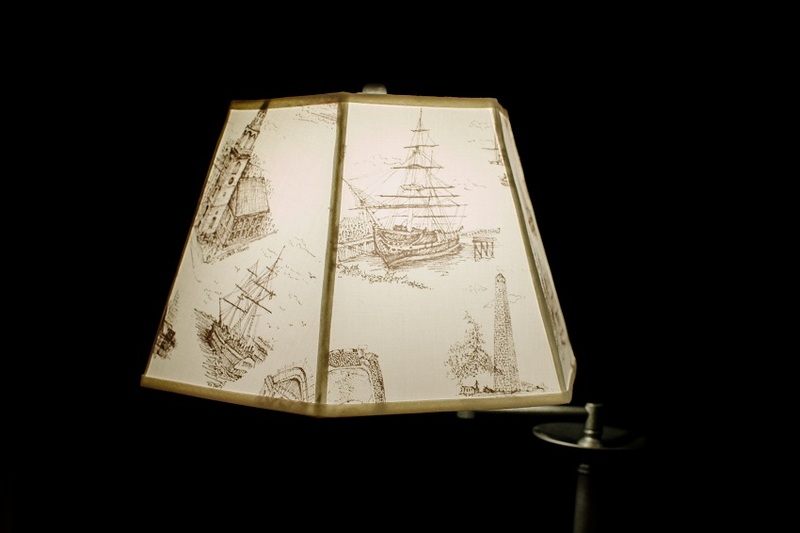 A nautical chart lampshade is not going to work in every room in your house, but we also have lampshades designed using the line of Cape Cod toile fabrics from Joan Peters. Whether it is the Cape, Martha’s Vineyard or Nantucket – Lobster Red or Lighthouse Gray or Sailor Blue or Vineyard Sand – we have a colorway, style and size of lampshade that will enhance any lamp in your summer house. I worked at the Carlisle(MA) Garden Tour on Friday and was placed at this wonderful farm. 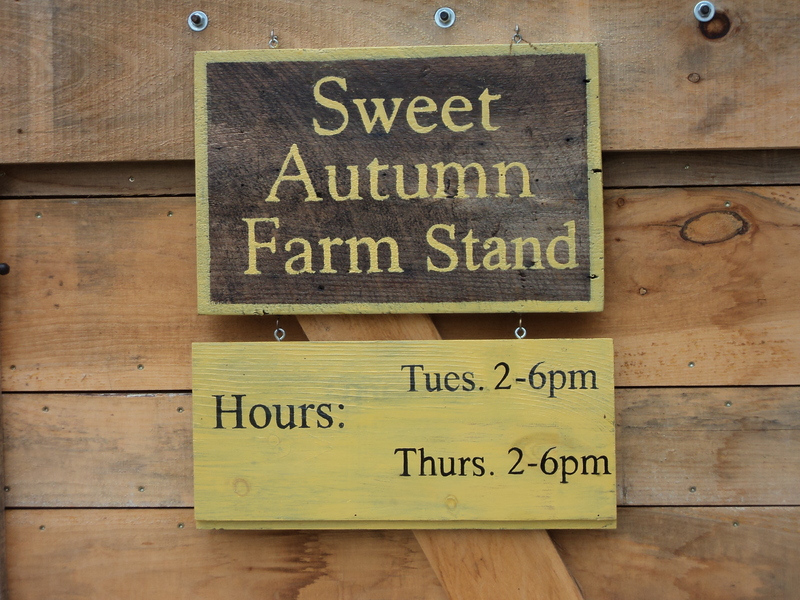 Sweet Autumn Farm is a small,diversified farm that grows heirloom vegetables,fruit,cut and edible flowers,herbs and seedlings. 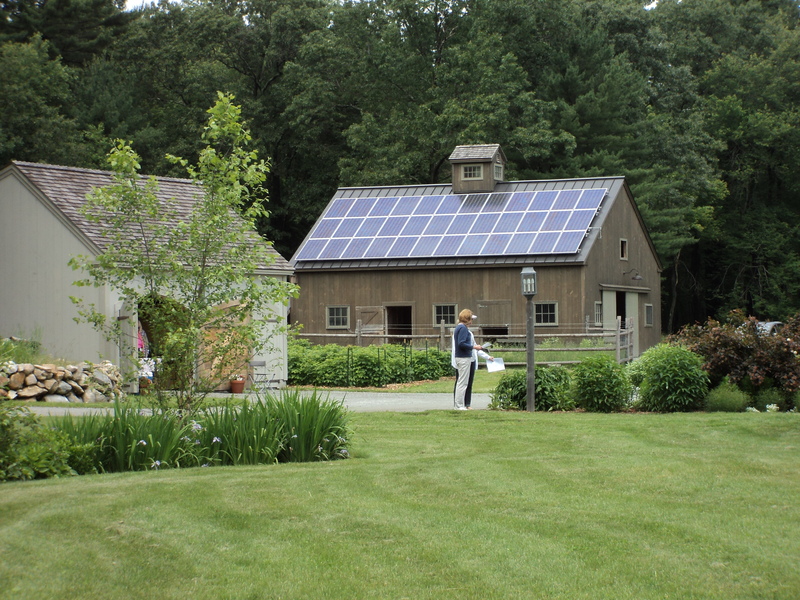 Their sustainable practices help to encourage a wide variety of flora and fauna through native planting,bird boxes and minimal mowing of the fields.The farm is completely run by power from the solar panels(pictured) on the barn as well as the rain water that is caught. 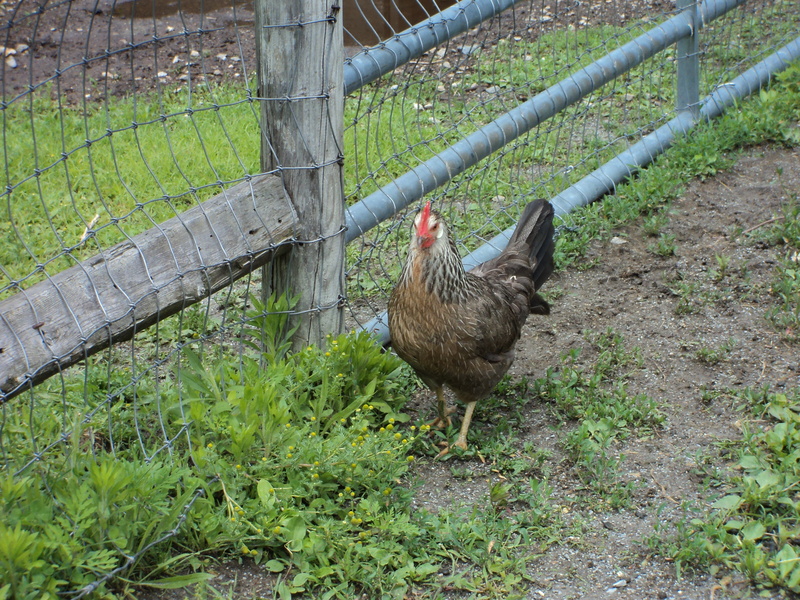 They sell their organic chicken and duck eggs at the Carlisle Farmer’s Market and also supply many restaurants with their produce-they are the sole provider for 80 Thoreau in Concord. 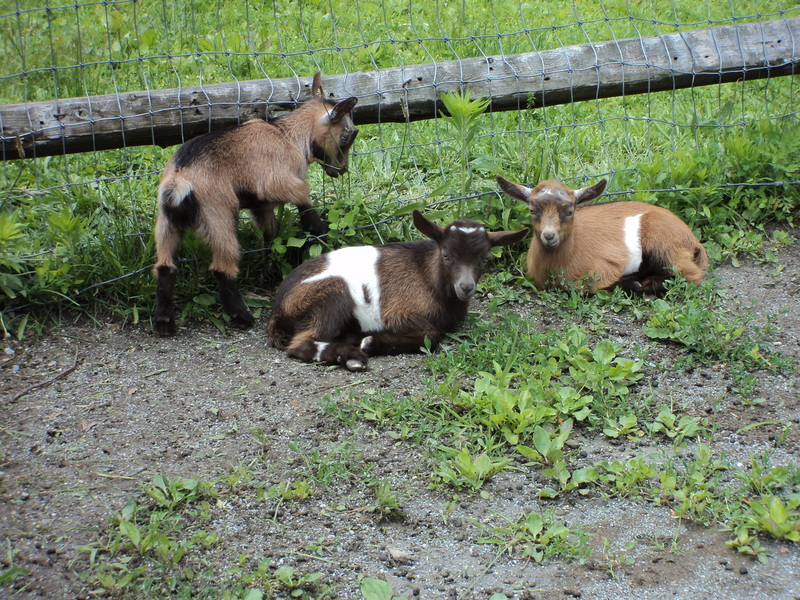 They have 2 new litters of baby goats-I could have watched them all day!